For many people, acquiring a home is a goal or a dream of life. Many fail to do so, so they are forced to give a rent a little of their monthly income. Approximately half of Europeans who are not homeowners, according to a study by ING Bank, published in 2017, have lost hope of never becoming roofs. For 65% of people who do not own a home, ownership is synonymous with success. 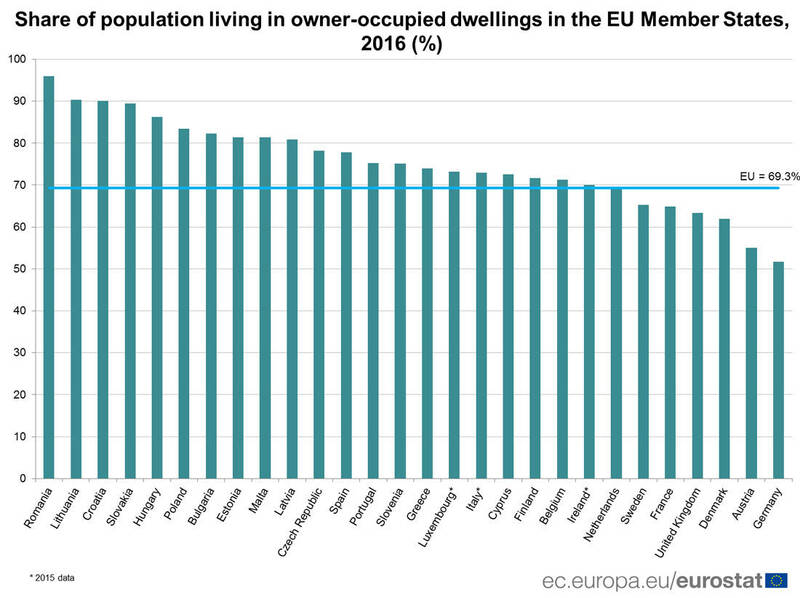 In Europe, seven out of ten citizens (69.3%) lived in private homes in 2016, while 30.7% lived in the house where they lived. In Europe of 28, 42.6% lived in a private house in 2016 without a loan or a mortgage. 26.5% lived in a private house for which a loan or mortgage was pending. And while most Europeans live in their own homes without being forced to pay rent, a significant difference is noted when we look at the rates per country. There is a country where 96% of the ownership of the house and the country where half of the citizens live in a private house (51.7%). In particular, the highest percentages of citizens living in a private house are registered in Romania, where 96% are owners, Lithuania (90.3%), Croatia (90.1%), Slovakia (89.5%) and Hungary (86.3%). On the other hand, slightly more than half the population in Germany live in their own homes (51.7%) and Austria (55.0%), followed by Denmark (62.0%), the United Kingdom, 4%. ), France (64.9%) and Sweden (65.2%). Greece is close to the European average with just over 7 of the 10 Greeks living in a private house. Romania has the highest percentage of homeowners. According to Eurostat, 96% of Romanians live in their own homes. However, government policy, economic data, less rental opportunities and increasing social pressure to become a homeowner mean that the experience of homeowners in Romania in generations varies widely across the country. 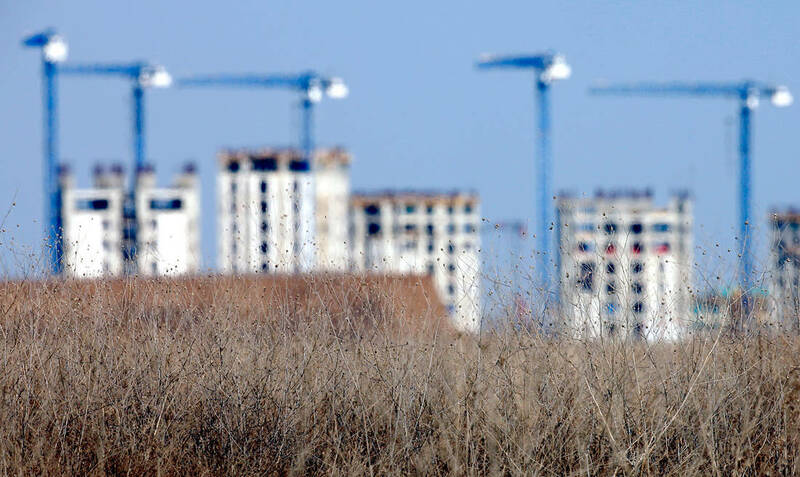 In 1990, with the end of communism, the state owned 70% of the apartments, says Bogdan Suditu, urban planner and professor at the University of Bucharest. Once the government started selling houses, people ran to buy the houses they lived in, often at very competitive prices. "Paying 100,000 slate for an apartment in 1991 was a fair price at the time, and in 1994 this was the price for a color television," says Suditu against the BBC. Not only the acquisition of housing was simpler, but the Romanian government built fewer buildings in 1996. Buying a house became a popular choice. Although there was not always a culture of homeowners in Romania, there was a tendency towards ownership. According to Suditu, there was no serious public demand for an alternative to home ownership. For him, however, enthusiasm comes from the lack of sustainable alternative housing. In some cases, citizens were not informed about their choices. "Everyone sells the idea of ​​ownership: your parents, your banks offer a cheap loan, the real estate market offers you a lot of choices, everyone talks under all circumstances how to become a homeowner". When they reached the stage of ownership, the attitude towards the country did not change. However, due to the global financial crisis, the purchase of real estate was difficult. Romania set up the First House program in 2009 to help those who wanted to buy their first home. "The program helped the real estate market come to life", says credit broker Dragos Nichifor. "He encouraged manufacturers, but also gave favorable loans". 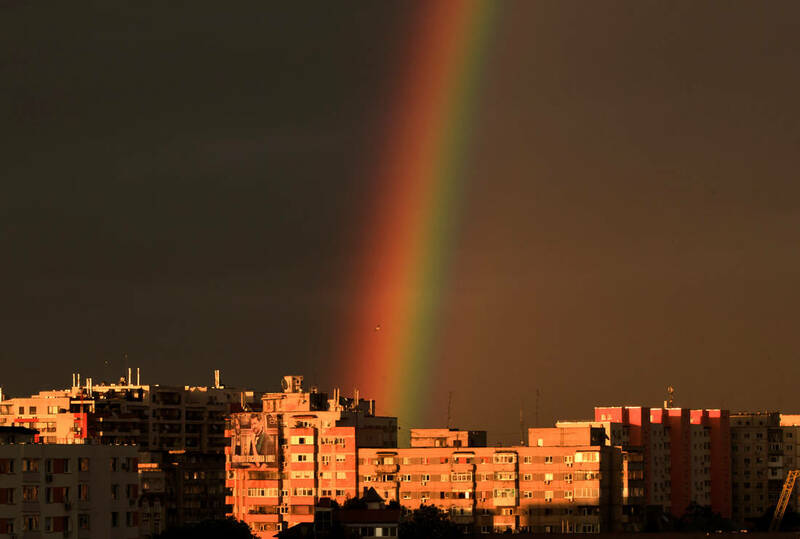 After the loss of his first apartment after his divorce, 48-year-old Catalin Pomeanu had to hand over his second property to the bank in 2016, because the terms had almost reached his salary level. After some rental experience, he could buy a house in the countryside about 60 kilometers outside of Bucharest. He used the money from the sale of an apartment purchased by his parents during the privatization program in 1990. "For me it is a dream come true, not only the house with a garden, but also the fact that I have my own house where I can do what I want. " And while renting today is something that is normal in other countries, renting in Romania is only experienced as an intermediate step. "There is no clear legal framework, no law that regulates the rights and duties in the case of rent in Romania," notes Dragos Nichifor. "This is the main reason why people want to become owners of their home." Manufacturers are not considering building buildings to rent houses as a viable business model. Rents are very low, which means that it will take many years to earn their money. 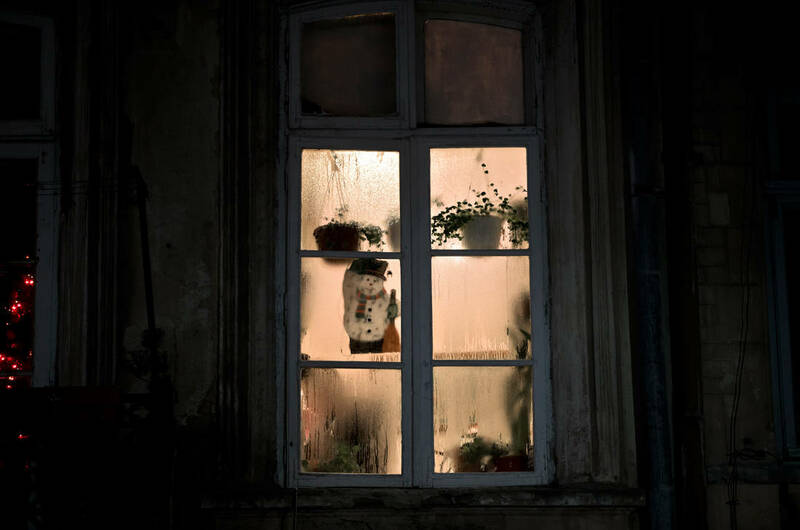 Many owners in Romania have one to three apartments, which according to Nichifor are often old and of poor quality. In 2015, the pregnant woman of Razvan Dumitrasconiu, Giorgiana Boboutanu, only took two weeks after birth, when the owner of their house told them that they had to empty the apartment because she wanted to sell it. In search of an apartment to buy, the couple turned to the First House program. They pay their loan for the next 30 years. "It was the only solution, we had no alternatives," they say. "In an ideal world I would like to be a tenant, provided of course that I have the certainty that I would stay there for as long as I want," says a 31-year-old who bought an apartment in 2015 on the outskirts of Bucharest. He used the money he had acquired by selling an apartment to be sold. Having a house, even if it was in a remote area, was the safest for him to do. Romania remains a homeowner. According to a study by the World Bank and the regional development program of Romania, "the absence of almost the rental market" has an impact on the quality of housing, which increases overpopulation rates as more and more generations or extended families live together. The same study shows that more than a third of houses in Romania face serious problems, construction problems, heating problems and minimal safety in earthquakes. The main reason is that many owners can not have the money to solve these problems.